Take a closer look at the kits! Deck the halls, deck the holidays, and deck your pages! 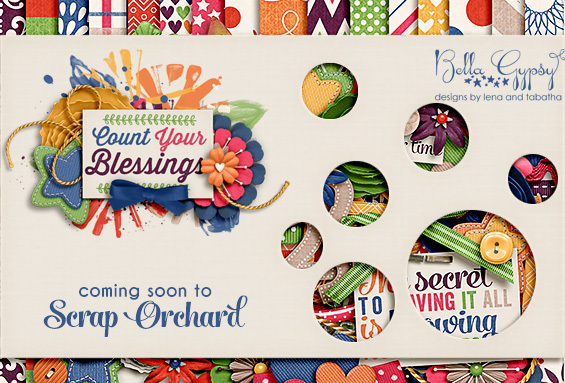 Deck The Holidays is a digital scrapbook collection with a classic holiday palette. 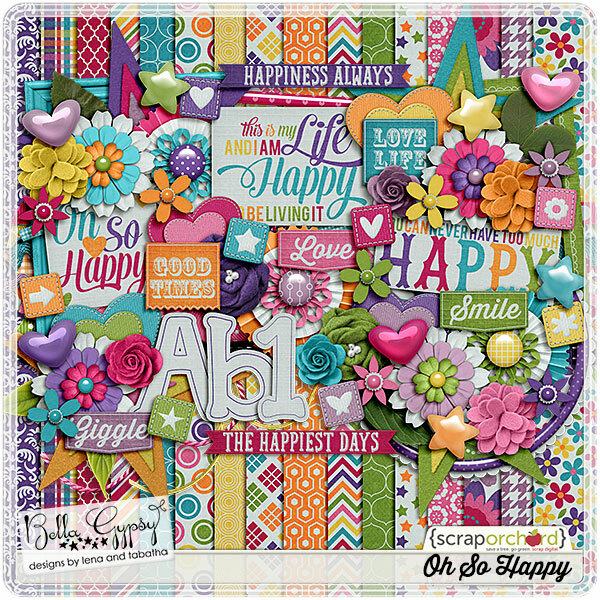 The coordinating pieces are designed to complement any digital scrapbook products you are using. A must-have if you are doing Document Your December or December Daily! These pieces will come in handy, however, to create any of your holiday pages even if you aren’t tackling a holiday project. Collect all 10 pieces or just pick up what you will use. Mix and match, and enjoy! Below they are pictured bundled up, but you can pick and choose which you’d like for $1 during Farmer’s Market! Here’s a freebie to get you started. 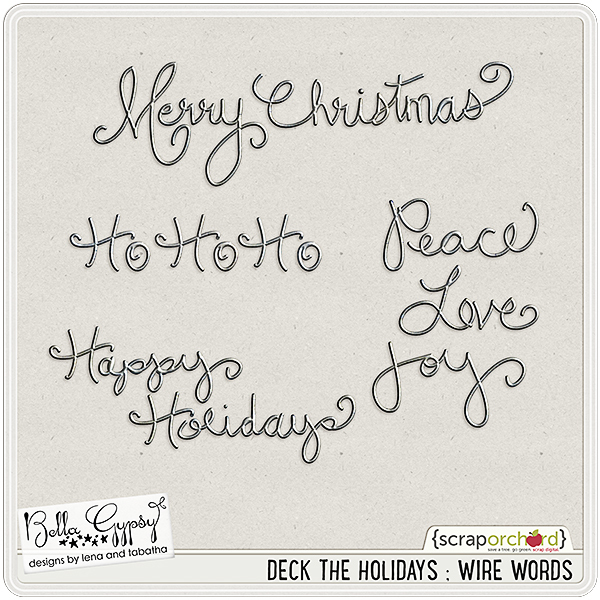 A set of wire words that will complement your holiday pages! Just click the image to download! 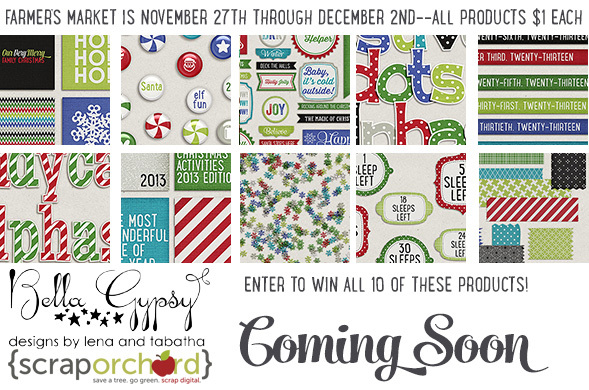 Happy shopping–don’t forget the sale ends 12/2/13! , & we’ll see you next week! 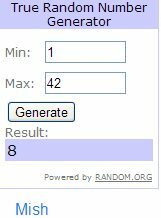 Our Day Three winner will receive all 10 kits. So excited for her! 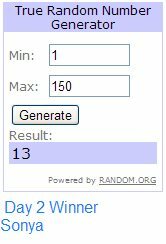 Congrats to Julie S. Julie will be getting an email soon to tell her how to collect her prize. And a big thank you to all of you that took the time to comment. We do appreciate you all! Thanks to all that commented. We really do appreciate your comments. 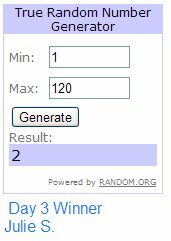 Our winner for Day 2 is Sonya W. She will be getting an email shortly to explain how to claim her prize. Hey there scrappers! 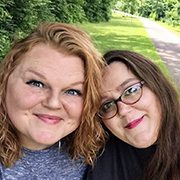 It’s Kim here, on a Sunday evening to bring you the latest Bella Gypsy news. This is the time of year that the majority of people reflect on what they are thankful for. A lot of my friends have been posting their 30 Days of Thanks on Facebook and I have been working on a hybrid album that focuses on all my blessings. We all have so much to be thankful for this is the perfect to scrap about all those blessings. 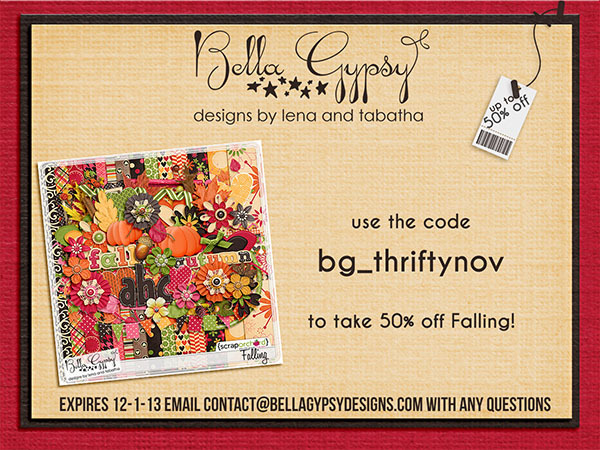 Bella Gypsy released a brand new kit this week called, Count Your Blessings. Here is the full collection. There is also a smaller bundle available HERE. Each piece of the collection is available for individual purchase. 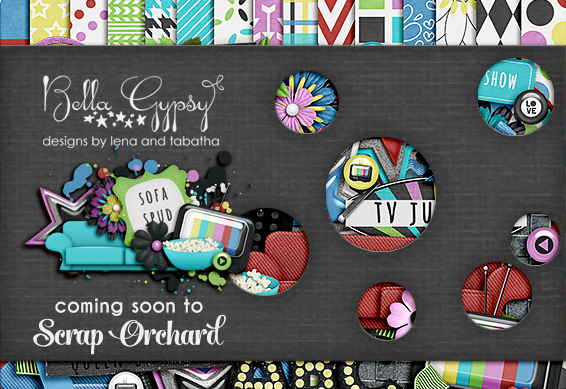 They can be found at Scrap Orchard. If you purchase the collection, this mini kit will automatically be added to your cart. 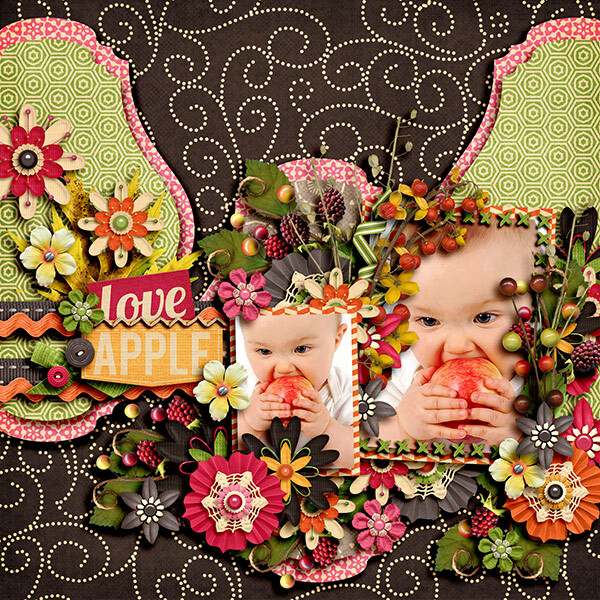 I created a frame cluster for you this week. You can click HERE or on the preview to download. Have a great week! I’ll see you next weekend! Thanks so much for all those that commented. We truly appreciate our fans! 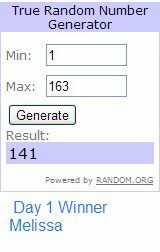 This week Random.org chose Mish as our winner. I’ll send out an email to her know how to collect her prize. Be sure to check in this upcoming week as we have some surprises in store and several chances for you to win! It’s Kim here, with the new releases for this week. I don’t know about you, but our family loves movie night and we each have our favorite shows to watch. 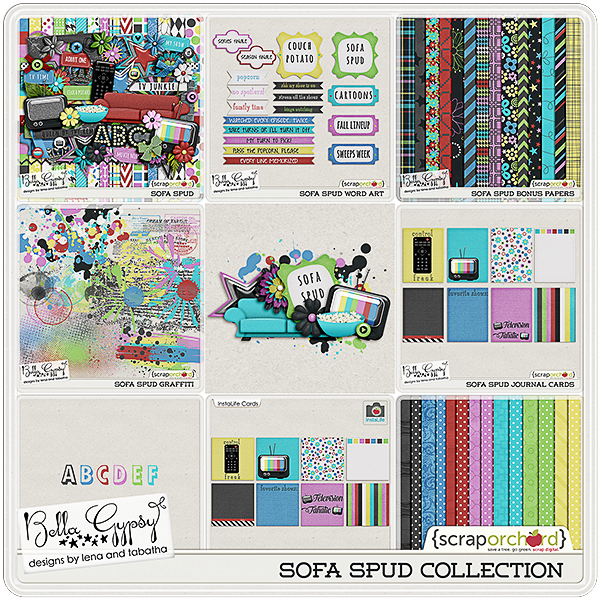 Bella Gypsy released a brand new kit this week called Sofa Spud. 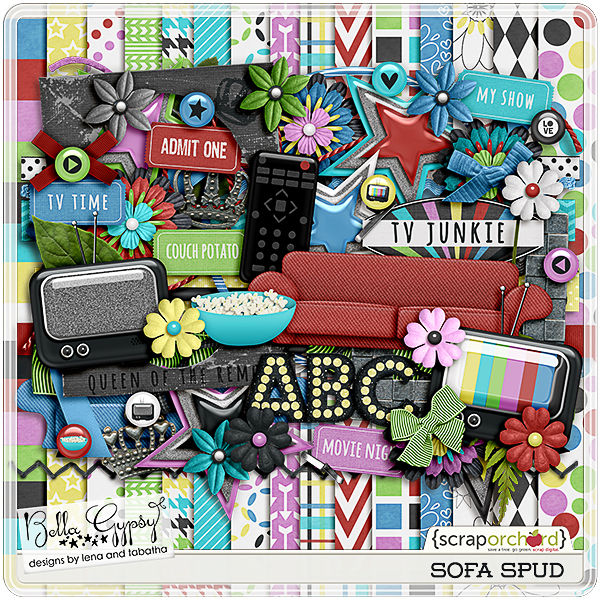 It is perfect for scrapping about your love for TV! 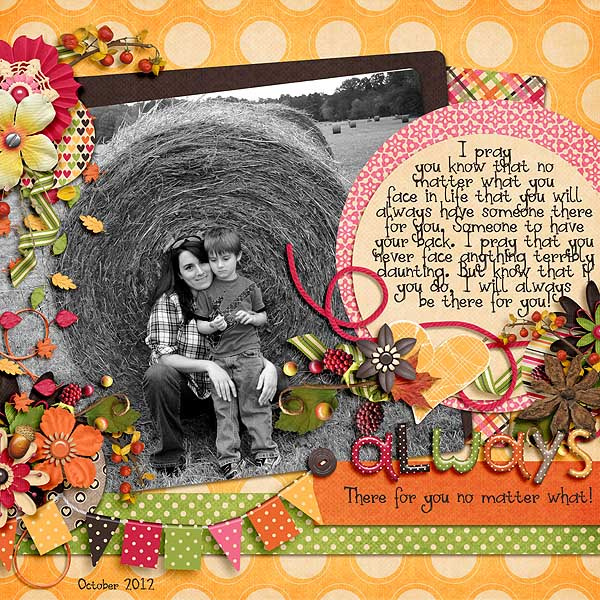 And here is the FWP mini kit….it is totally FREE with the purchase of the whole collection. 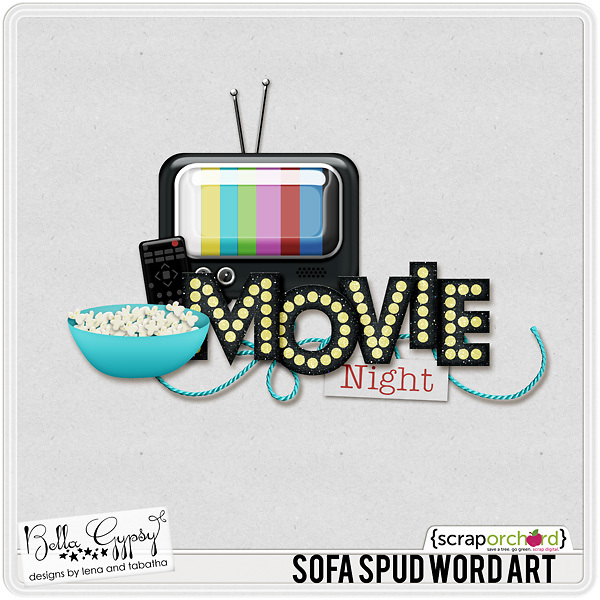 Here is a little freebie for you…some coordinating word art. Click HERE or on the preview to download. I hope you all have a fantastic week! See you next weekend for some more scrappy goodness! Thanks everyone for taking time off of your regularly scheduled programming to leave us comments. So cool! 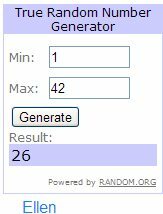 Random.org was put into action and picked Ellen as our winner this week. I will email her information on how to collect her prize. Be sure to tune in next week for another chance to win. There is no such thing as being too happy! Laughter, cheesy grins and all those special moments are worth documenting! 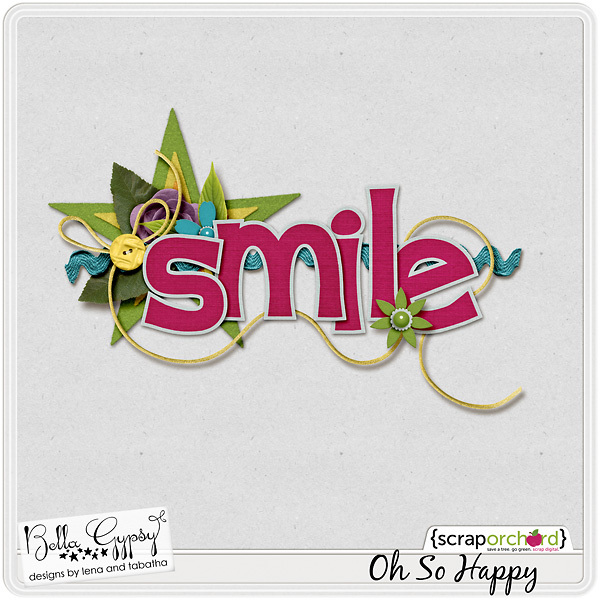 Bella Gypsy has a brand new collection out this week called “Oh So Happy”. It is perfect for capturing all those happy moments in your life! Don’t need the whole collection? There is a smaller bundle available HERE. Also, each pack is available for individual purchase so you can pick up the packs you need HERE…or you can get it all! If you purchase the collection, this mini kit will automatically be added to your cart….for FREE! Here is a little freebie for you! Click HERE or on the preview to download.